Bowmore is not a distillery that leaps to mind when discussing Islay. It should be. Although overshadowed by its mighty (both in flavor and in following) neighbors to the south, Laphroaig, Lagavulin, and Ardbeg, Bowmore’s whisky displays a restraint that can provide much-needed relief to the bog-soddened palates of peat lovers. Bowmore’s whisky is certainly peated and unmistakably Islay. However, its notes tend towards smoke and lighter sugars instead of vegetal peat and seaweed. Its water traverses a 19-kilometer journey over all of the faces of Islay, starting in limestone and sandstone hills on the east coast, and then flowing over heather in the hills and peat in the bogs alike. Bowmore’s warehouse is located on the shores of stormy Loch Indaal rather than the Atlantic Ocean, and 40% of its barley is malted on-site. All of these factors combine to yield a well-balanced, not peat-dominated, flavor profile. If peat explosions like Ardbeg are not your thing, try a Bowmore. Nose: Concentrated smoke, hay, coal dust, cayenne pepper, buttercream frosting. Palate: Silky smooth and heavy bodied. Malty sweetness upfront, developing into smouldering hay bales, caramel, and white sugar. The peat is well-integrated and refined – not “in your face”, but still clearly Islay in character. Finish: Long, with typical Islay smoke and slightly bitter charred wood. Overall: The thickness of the mouthfeel is excellent, and the peat smoke notes are refined and well-rounded. Other notes are too subtle to detect on a first try, but further exploration is warranted. Don’t add any water – it ruins the thick mouthfeel and reveals only a small amount of lemon and floral aroma. I have resolved to look deeper into Bowmore’s product line. I picked up a bottle of this late last month to fill the soon to be empty shelf spot left by my bottle of Jura Superstition (which is almost finished). My decision was based on the Malt Madness reviews, but you’ve made the Bowmore sound even more promising. Had a dram of Ardbeg 10 at a Scotch Tasting Party of couple of weeks ago, and could still taste the smoke the next day. If the Bowmore 12 is more balanced than the Ardbeg, then I’m looking forward to it! @Dan, Thanks for the comment. Let me know how the Bowmore treats you! If you’re looking for milder peated drams, you might also enjoy Caol Ila. The distiller’s edition (finished in Moscatel casks) certainly *sounds* interesting, though I haven’t tried it yet. I managed to find a 50ml bottle of Bowmore 12 in Calgary last month, which I sampled with a friend recently and quite enjoyed (hope to have a review up shortly). My question is now, do I open the larger bottle, knowing that it is decent whisky, or to I experiment with one of the other Islay whiskies I have in storage? (Laphroaig QC, Signatory Caol Ila 1999/2011, Dun Bheagan Islay 8 year, Compass Box Peat Monster) Any recommendations? 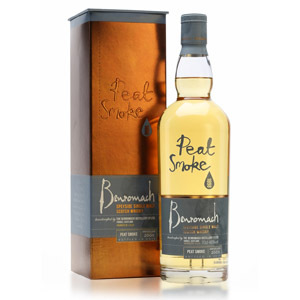 Can’t help you there – those all sound like good drams (I know QC is good, and Peat Monster is nicely balanced). I’d just open the next one I’ve been wanting to try. 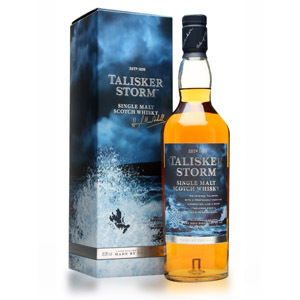 If you want a complex Bowmore, try the Tempest. I’d match it up against any Ardbeg or Laphroig. Good tip on the Tempest. Thanks! The Bowmore “Legend” is really, really good!!! I can attest as I have recently just finished a bottle in record time (for me) of just a few days. Extremely drinkable with hints of smoke, kippers, clams, maritime, asphalt, and ozone…Absolutely delicious!!! Here in Nova Scotia, Canada, Bowmore 12 YO is among the least pricey single malts ($45 for 750 ml as compared to $119 for Lagavullin 16 YO and $79 for Ardbeg or Laphroiag) and definitely the best “daily dram” option for those who love peat. I haven’t had the chance to try their 15 YO “Darkest Sherry” just yet ($69 here). 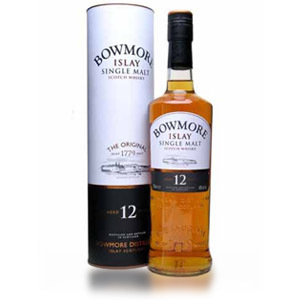 Those are around our prices here in Fresno, California still i wish i could find a sample bottle of bowmore 12 i am slowly making my way over to islay by trying smokier and smokier scotch’s. Older Bowmore Enigma (12yo) is really good and I like it alot, but I’ve heard that the newer version isn’t that good? Some say it’s much lighter? At first taste I was a little dissapointed with the Bowmore 12. I am a Laphroig fan and love the PEAT. But after a few nights of having a dram I came to really appreciate the subtlety of the Bowmore 12. The peat is there it is just smoother. The subltle peat aftertaste stays with you for a long while after a sip. There is also an herbal earthy taste there that I could see some describing as medicinal…Almost like Jaegermeister…but its way in the background. All in all for the price I am now a loyal fan of the Bowmore 12! I’ve been working my way up the Irish whiskey ladder for the last few years, and ran across a peated Irish whiskey, Connemara, which I really enjoyed. A friend of mine suggested that I make a jump over to Islay from Ireland, recommending Bowmore 12 as a starting off point with pleated Scotch malts. Have to say that I’m thoroughly enjoying (savoring) my first glass of Bowmore 12. About the same amount of smoothness to the peat as with the Connemara. Haven’t been able to find Connemara easily where I live, but the Bowmore is in the same price range and more readily available. I’m a happy camper. Must agree here with you Dan; while unmistakably an Islay single malt – it’s a lot more forgiving on the palate (and pocketbook), and for those who wish to introduce themselves to the smoke/peat of Islay – you cannot go wrong with this whisky. EDIT – meant that I agree with the ‘Scotch Noob’ (sorry Dan)…Also – while at the liquor store I was meaning to pick up the 15 yr Darkest, but Wine Enthusiast ‘reviews’ (the little tabs that cover the price tag on the shelf) rated the 12 yr slightly higher…Add to the fact that the 12 yr was also $20 cheaper than the 15 yr Darkest – I was sold…Glad I went with the 12 yr.
Freddy, I’ve tried both the 15yr Darkest and the 12yr. The 15yr is good, but it’s just ok as 15yr olds go. There are lots of really good 12yr that are as good as the Darkest and cheaper (Glendronach 12). It is also colour added. How can they call it “darkest” if they add colour? Boo. 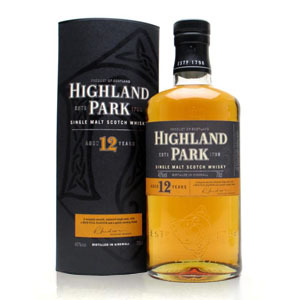 The 12 yr is quite smoky and heavily peated, the flavour lasts a long time on your palate. This was the first real Scotch that I ever bought and a great decision in hind sight as I’ve tried lots of Scotches since that first bottle and am always comparing them to the Bowmore 12. I prefer the peat versus the sherry. Like the reviews on Bowmore. Has anyone tried the 18 year? Add a splash of Laphroaig cask strength. So last night I tried the splash of Laphroaig cask strength to the Bowmore 12 and wow! It does work. Adds some complexity and brings out the salty/sweet. Plus the finish has a more pronounced smoke flavor than before. Still looking for an 18 yr review. Anybody out there? 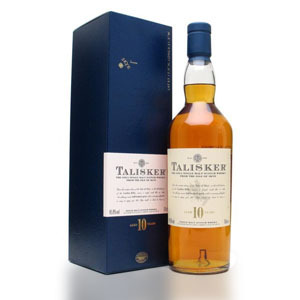 I came across a bottle of the 12 in a much-frequented liquor store for…$17.95. I thought it must be a mislabeling, but that’s what they charged me. It was the first 12 I have tasted and liked it very much. I’m a good candidate because I’m a little overwhelmed by the peat monsters, but like a touch of it in my scotch. I found this one to be somewhat lighter and less complex than the other choices I have made, but at $17.95, I can overlook a ton of issues. Now to go back tomorrow and see if I can find more of it! Where in the world (literally) did you find it at that price?